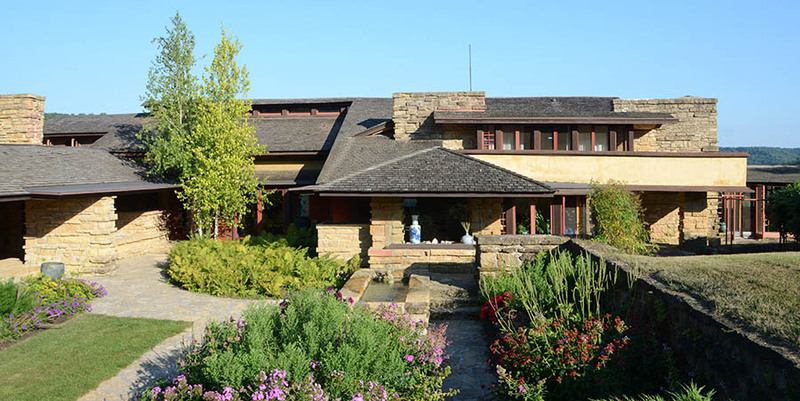 Taliesin was the principal residence of Wright as a mature designer, and the valley was his inspiration and life-long laboratory for architectural designs and innovation. 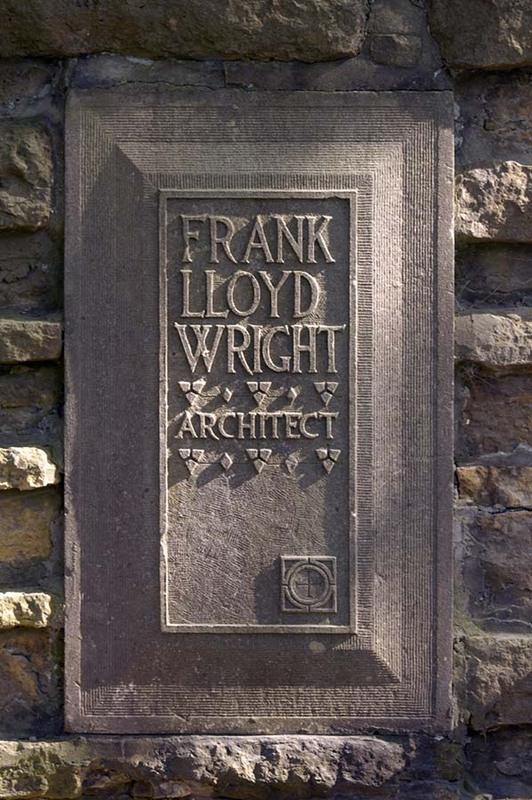 Taliesin in its three iterations (1911, 1914, 1925) represents the most complete embodiment of Wright’s philosophy of Organic Architecture. The Taliesin residence is the heart of a series of buildings that Wright designed for himself and his family members on the estate. Other buildings include: Romeo & Juliet Windmill (1896), Hillside Home School (1903), Tan-y-Deri (1908), Hillside Drafting Studio (1932), Midway Barn (1949), Hillside Theater (1952), and the Frank Lloyd Wright Visitor Center (1967). 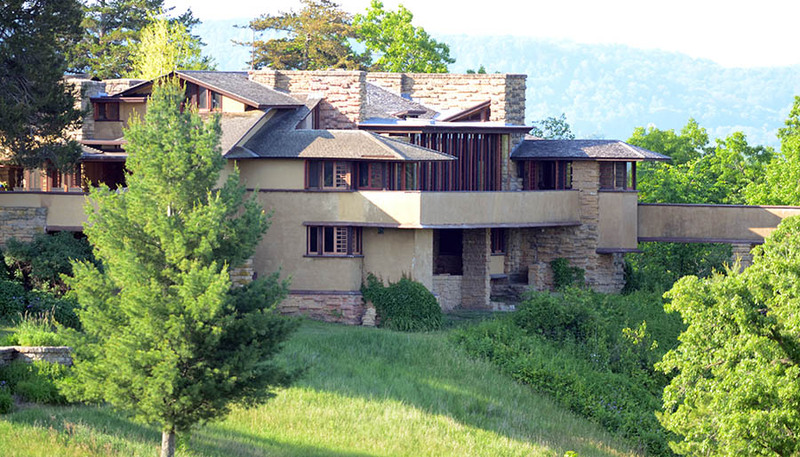 Taliesin Preservation is a 501(c)(3) founded in 1990. 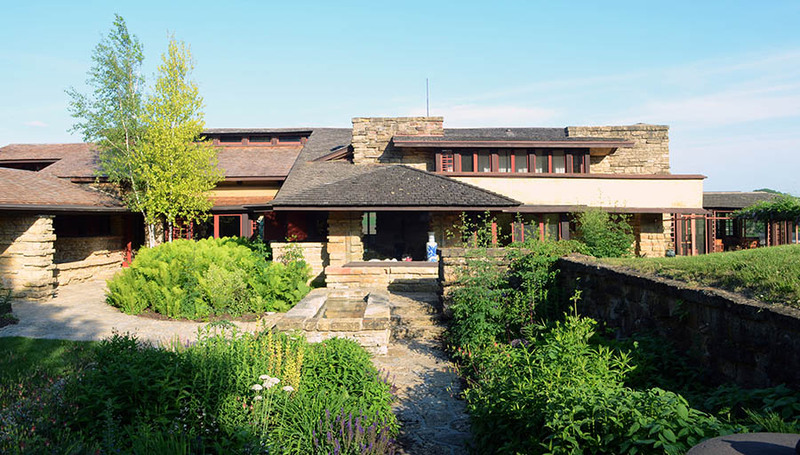 Its dual mission is to preserve the cultural, built and natural environments that comprise the Taliesin property and to conduct public and educational and cultural programming that provides a greater understanding of Frank Lloyd Wright’s architecture and ideas. All tours begin at the FRANK LLOYD WRIGHT VISITOR CENTER, adjacent to Taliesin, along the beautiful Wisconsin River. Daily tours May 1 - October 31, from 9:00am - 5:30 pm. Friday, Saturday, and Sunday tours in April and November. Exterior shuttle tours available weekends April and November.